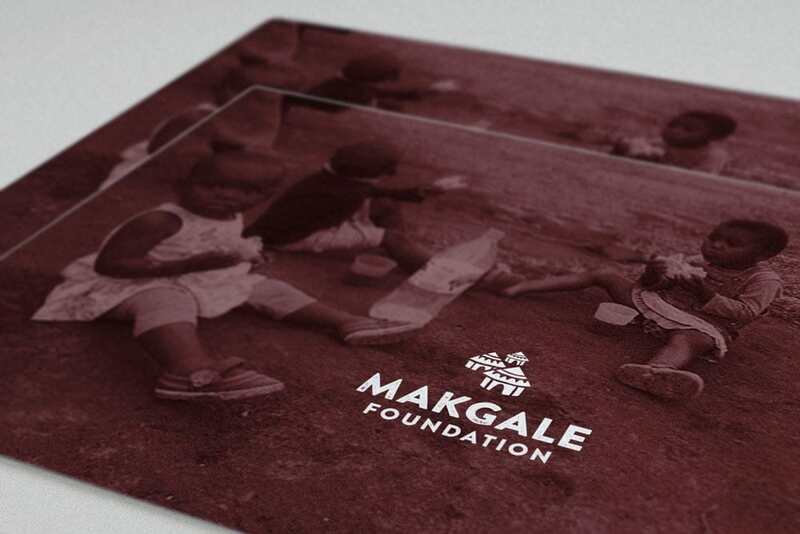 The Makgale Foundation’s mission is to provide the women and children in less fortunate communities access to libraries, literacy programmes and equipment for sports activities. In October 2013, IOL News reported that “only 13% of Grade 5 pupils were literate and only they were only getting 4 out of 20 for their comprehension test. Only 5% could read the required 80-90 words per minute.” The Makgale Foundation was set up in 2014 to address this. As a non-profit organisation, they required help with the creation of a brand and got in touch with Inkbot Design. Fortunately, I was able to assist them with a free logo design package to get them up and running with a visual identity. Being a newly founded organisation, they didn’t have anything in place apart from a basic web template, some images and a little information about the foundation itself. When asked the question during the initial discussion, “Do you have any specific imagery in mind for your logo?”, they replied with a jpeg image of a handmade litho print that the founding members liked. It was a combined scene of three traditional homes, with two people, one kneeling down, the other standing to the side surrounded by a brick-style pattern. When I first saw it, I liked it as well but thought it a little busy and overly complex for a logo design. Initial focus was obviously on recreating the image in vector form, simplifying yet staying true to its form. As the development occurred, various degrees of a simplified version were considered, drawing focus on the homes for example being seen as the strongest approach. Ultimately through this simplification, elements were removed, but the attention was focused on the close-knit homes, representing the community values. Working with Stuart is a pleasure, he makes it so easy and comfortable to work with. Just dealing & communicating with Stuart without delays or confusion – it was really a good experience. 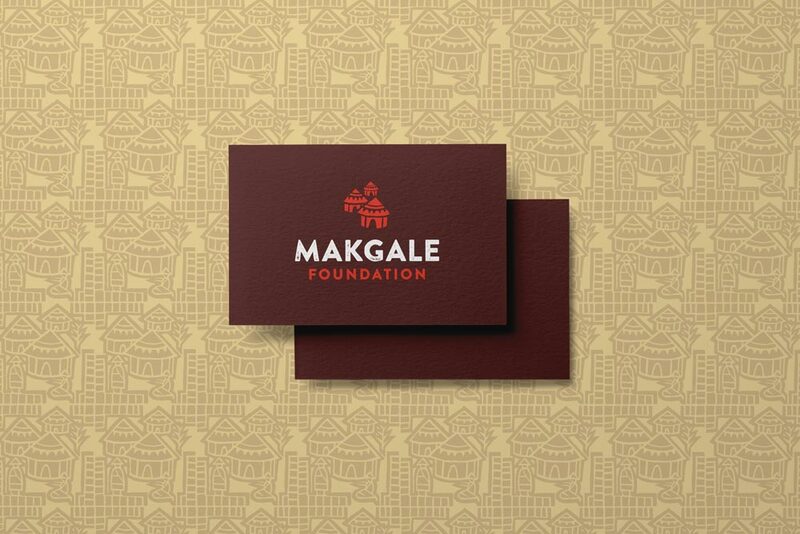 Focusing on the three homes offered a strong representation of the community aspects of the Makgale Foundation’s mission statement. Staying true to the original litho image, (which was actually used in full-form in a pattern design that can be seen below) the handmade feeling was transferred to the typography, with Brandon Printed being chosen as a complementary typeface. Based on the famous Brandon Grotesque typeface, it has an eroded, printed look with four variations of every letter. Red was chosen as the primary brand colour, working with the warm, organic browns and tan hues. This all tied in together to form an image that was positive and uplifting, while ensuring it stayed personal enough to remain friendly and approachable. Need help Branding your Charity or Organization?